By building an online presence, manufacturers and other businesses can significantly reduce the costs involved with traditional advertising. It also helps them easily reach a much broader audience at far less the cost; where else will you find users from all demographics and socio-economic backgrounds mingling together? If you haven't already begun promoting your company online, Facebook is a great place to start. The social media giant boasts over 2.5 billion monthly active users worldwide; 1.6 billion of them use the site to connect with small business; and over 18 million users can be found in California alone. 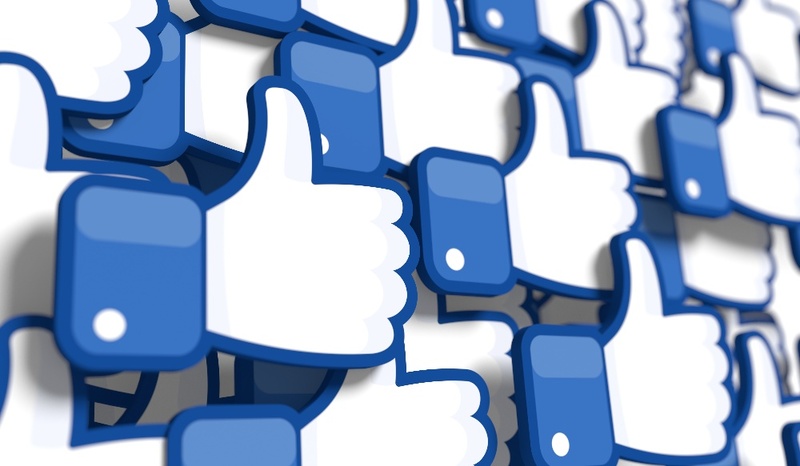 This makes Facebook a must-have marketing tool for your company. Can I Be Social and Secure on Facebook? Security is a common concern when it comes to social media, but this fear is mostly unfounded. Hackers are usually after confidential records and credit card information that they can use or sell for personal financial gain—and these are not details you’d be sharing or that can be accessed via social media. If there is still hesitation or doubt, company spokesman Andrew Noyes suggests every user become familiar with the Official Safety Center, a Facebook site where questions are answered and the latest news trends are posted. I’ve Gained Trust About Facebook. Now What? Facebook is important for manufacturers to leverage because of the prominent role it plays in society. You'd have to combine the populations of the United States, China, Mexico, Canada, and all of Europe just to match the number of users on Facebook! Manufacturers can mainly take advantage of the platform through the use of Company Pages. It’s a great way to get found, strengthen relationships, and nurture leads. Here are five ways organizations can increase the effectiveness of their pages. Your Facebook page shouldn’t be entirely sales-y; that can turn people away. You’ll want to be sure to complete your company’s “About” section, of course, as this is the first place someone is bound to look when visiting your page. But, beyond that, give your audience valuable content to keep them following your page; for example, you may reach out to your customer service team to find out what types of inquiries they’re getting from clients or customers, and then craft stories that answer them or pertain to them. Here’s where you show your “personality,” so to speak. Keep it on the professional side, with photos of employees at work and play acceptable and encouraged. Mix in demonstrations on how your products are used and you’re golden! In fact, multimedia posts—the use of visual content—generate 65% more engagement with followers. Have you seen a news story that affects your business, or just relates to what your company does? Link wall posts, notes, and discussions on the topic back to your website. This increases web traffic and boosts rankings in search engine results. Also, if you’re on Twitter or LinkedIn (and you should be), cross-promote on these sites to drive more traffic. Unfortunately, you can’t just make a page and think it will go to work for you. It takes time, and often a Social Media Manager or third-party company to help. So, designate time to consistently update your site to keep followers interested. A word of caution: too much posting can be a turn off. Studies show that more than 60 posts per month is the point at which followers begin to feel overwhelmed. Quality of posts versus quantity of posts is crucial. Facebook isn’t meant to be a one-way street. Encourage your followers to participate in discussions and always respond to both positive and negative feedback. Positives don’t require much but a thanks, while negatives require more effort and thought. As manufacturers, it’s important that we always stay on top of marketing trends to remain competitive and keep the industry healthy. Social media may be a relatively recent phenomenon, but it’s quickly become a favorite medium for consumers and a go-to tool for companies wanting to connect with them; in fact, 6 in 10 companies say maintaining an online presence is critical for the long-term success of their business. So if you’re not on Facebook, there’s no time like the present. Get online and watch business take off! P.S. Once you've created your Facebook page, be sure to follow and like CMTC for industry news, events, and more!